Wayang Productions. 1982. Director: Peter Weir. 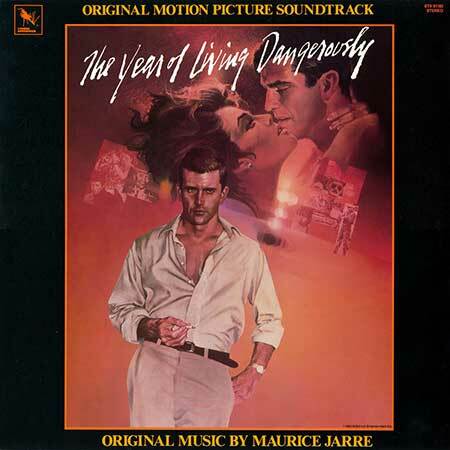 Music: Maurice Jarre. LP (ST) That’s Entertainment (UK). TER 1065. 1983. Music by Maurice Jarre. Electronic conception by Spencer Lee / Maurice Jarre. Music published by CBS Songs. Album release co-ordination by David Stoner. Executive Producer: John Yap. LP (ST) Varese Sarabande (USA). STV 81182. 1983. (CD VAR 47222). As LP - TER 1065, but S2-Tk2 titled “Djakarta”. Record Producer: Maurice Jarre. Album Producer for Varése Sarabande Records: Scot W. Holton. Executive Producers: Tom Null & Chris Kuchler. Mastering Engineer: Michele Stone. Mastered/Pressed: KM Records. KM Matrix: Ric Hancock. Production Supervisor: Karen Stone. CD(t) (ST) Milan. CH 558. (ADD). 1990. Album conceived and realized by Emmanuel Chamboredon. 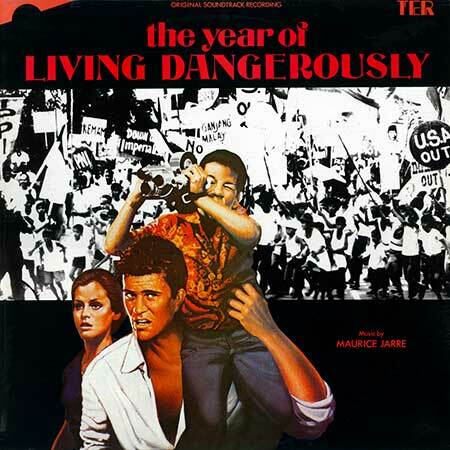 Music Composed by Maurice Jarre. “LE CERCLE DES POETES DISPARUS / DEAD POETS SOCIETY - THE YEAR OF LIVING DANGEROUSLY (LANNEE DE TOURS LES DANGERS)”. LP(t)	(AD)	(See COMPILATIONS - I LOVE AUSTRALIAN MOVIES: S1-Tk2).